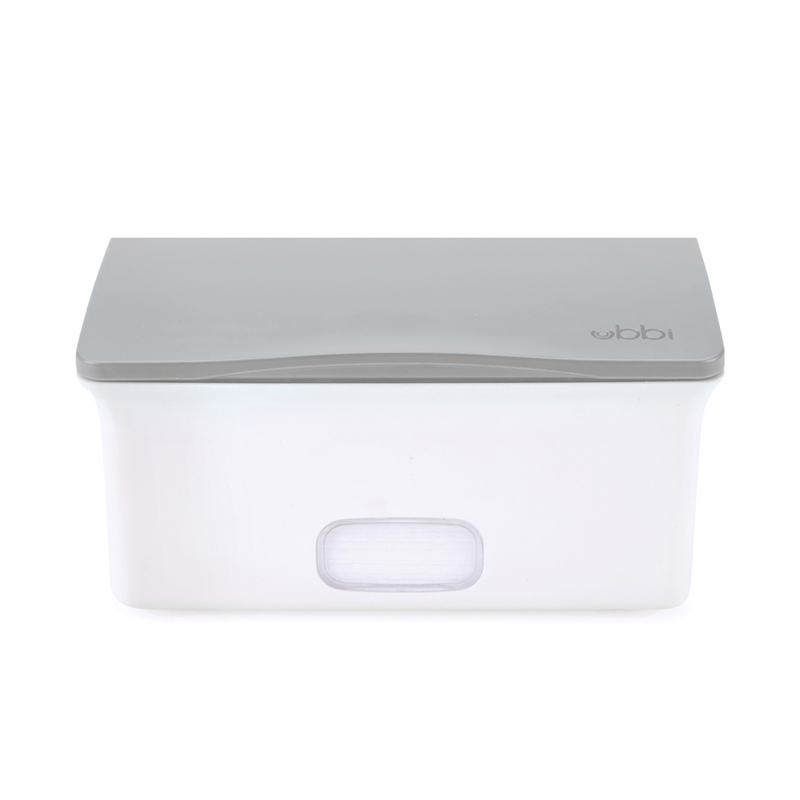 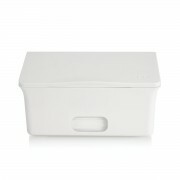 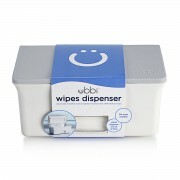 The Ubbi wipes dispenser is designed to make diaper changing easier by allowing parents to pull one wipe at a time. 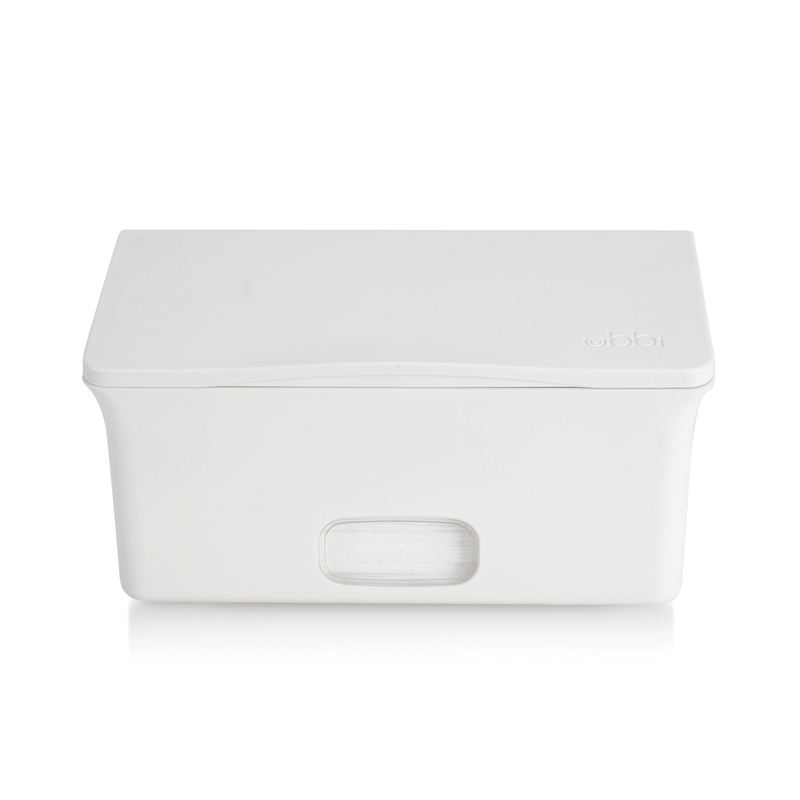 Built to store a standard pack of wipes, including cloth wipes, the Ubbi wipes dispenser fits perfectly in most diaper caddies. 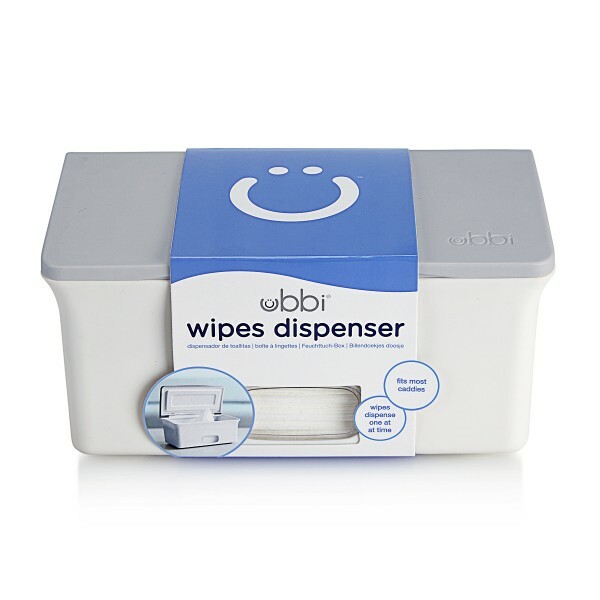 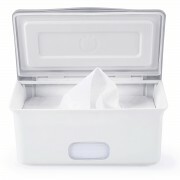 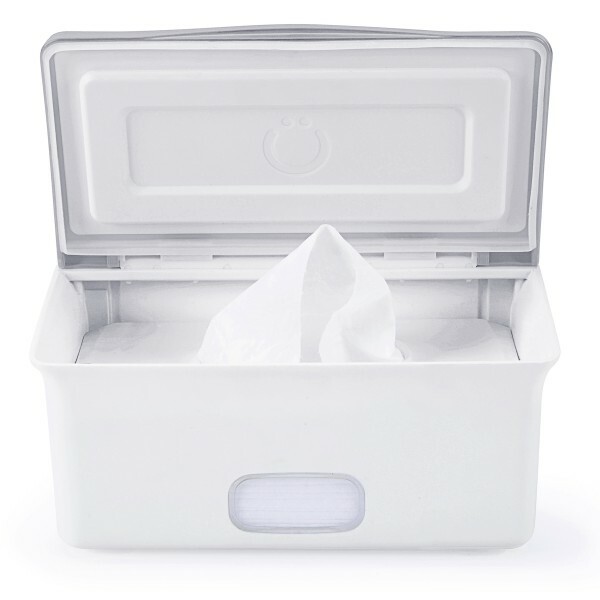 The dispenser is equipped with non–skid feet, a rubber seal that keeps the wipes fresh and moist, as well as a clear window that allows the user to monitor the quantity of wipes so they know when it’s time to replenish!